Sarah Sellers, with her pace slowing, climbs Heartbreak Hill. 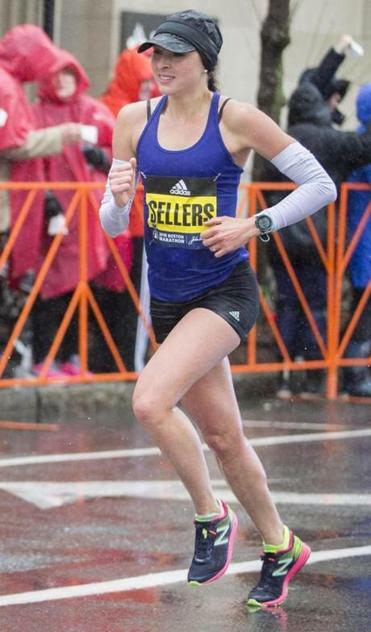 A year after her surprise second-place finish at the Boston Marathon, Sarah Sellers crossed the finish line on Boylston Street once again. In Monday’s 123rd running of the race, she finished her 26.2 miles in 2 hours, 36 minutes, 42 seconds, just six seconds shy of her personal best. Sellers, 27, wearing bib number F23, placed 19th. While conditions were far better than the original forecast — and than those she endured in her 2018 race — a right leg cramp plagued Sellers near the 15-mile mark. The nurse anesthetist from Tucson, Ariz., reached the halfway point at 1:15:27, with her mile averages hovering between 5:39 and 5:55. Her pace slowed at 25 kilometers, when she clocked in at 6:01 per mile. Who the heck is Sarah Sellers? 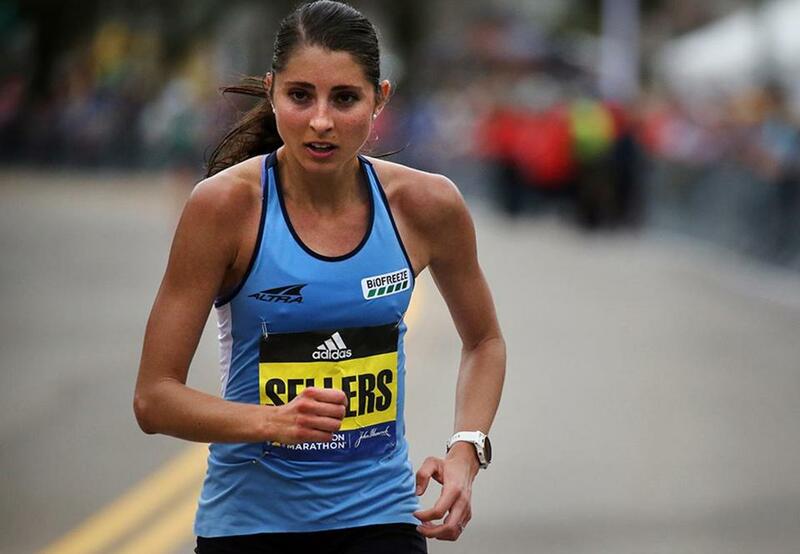 Here’s what we found out about the American woman who finished second in the Boston Marathon. Before the cramp, she said, “I felt super comfortable. It was kind of a mechanical issue that I’ll figure out and be better next time. Having crossed her fourth marathon off her agenda, there are a few items left on Sellers’s to-do list. She has already qualified for the Olympic trials, which will be held in February 2020 ahead of the 2020 Summer Games in Tokyo. But first up, Sellers said, was some cookie dough ice cream to celebrate.